Flosteer Slim-Seal, Center design High Performance Butterfly Valves are reliable, maintenance free shutoff with permanently gas-tight seal with an integrally moulded/replaceable elastomers body liner. 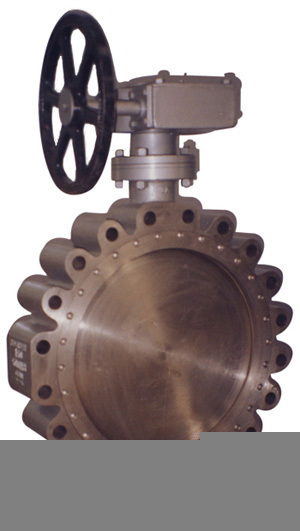 These butterfly valves excess other conventional valves such as gate valve and globe valves in all aspects, especially in terms of light weight, less number of component, no flange gaskets required and economical operation and maintenance costs. Flosteer body seat mechanism offer a very low torque, tight shut off with zero leakage, compact actuator selection, and long life service. The slim-seal design valves are widely available with different combination of body, seat & disc materials to satisfy the need of most industrial application. Flosteer also offer Off Set Disc Design Butterfly Valve for high pressure and temperature with seat material P.T.F.E., Silicon, Viton, NBR, Nitrile, Neoprene and EPDM. Flosteer High performances Butterfly Valves are also available with P.T.F.E. (PFA/FEP) lining and Nylon Coating. Flosteer covers Pneumatic Rotary Actuator / Pneumatic Cylinder / Electrical Actuator operated valves along with accessories like Gear Box, Solenoid, Limit Switch, Valve Positioner, I/P Converter, Air Filter Regulator etc. Size Range 1 1/2" To 40"